If you'll be traveling in the near future, now is a good time to start thinking about how you'll make sure your pets are taken care of while you're away. One of the most common choices pet owners make is that of boarding their pets at a trusted facility in Oakland Park while they're gone. This way, they can rest assured that their pets are fed, played with, and taken care of daily. Here at Oakland Park Animal Hospital, pet boarding is just one of the many services we're proud to offer. By boarding your pets with us while you're away, you can rest assured that they're in good hands. 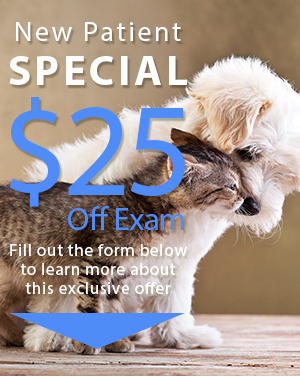 Why Board Your Pets With Our Oakland Park Veterinarian? When it comes to pet boarding, you can board your pets at a traditional facility or you can board them with our veterinarian that also offers these services. We would highly recommend boarding your pet with our veterinary clinic; this way, in the event of a medical emergency, you can rest assured that your pet will be taken care of by skilled and experienced veterinary staff. Furthermore, when you board your pet rather than take them with you on your trip or leave them at home for someone else to check on, you can enjoy the added peace of mind in knowing your pet is being monitored, fed, and cared for daily. For instance, we can administer any medications your pet may need, in addition to making sure they receive the right amount of food each day. We even offer grooming packages and other add-ons to help your pet better enjoy their stay with us! If you're thinking about boarding your dog or cat, there are some tips worth keeping in mind to ensure a better experience for your furry friend. For starters, try to make them feel as comfortable as possible while away from home. This means bringing the food and treats they're used to receiving at home, in addition to any toys, blankets, or other small items that may help them feel more at-ease. Please keep in mind that for the safety of our boarding guests, we do require that all pets be up-to-date on their vaccinations and immunizations before they can stay with us. This includes up-to-date rabies vaccinations and proof of a recent wellness exam. Furthermore, we require all pets staying at our clinic to be free of ticks, fleas, and parasites. Our Oakland Park veterinarian is proud to offer a variety of other services to keep your pets as happy and healthy as possible. For example, we offer everything from annual wellness exams and vaccinations to surgery, microchipping, and everything in between. 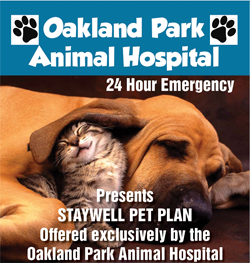 If you'd like to reserve a spot for boarding your pet on your next trip, feel free to give Oakland Park Animal Hospital a call at (954) 731-4228. We'd also be happy to answer any questions you may have about our practice and services offered.